Operations Director of MGC Marine (Asia) Co., Ltd.
Have you always worked in the marine business? I’m an engineer and I started my career with Caterpillar – the market leaders in big earthmoving equipment and diesel engines. I was lucky to gain experience across the whole company, including sales and marketing and, while working in the ‘off-highway’ department, supplying big generators, I got my introduction to the commercial marine industry – and had the opportunity to introduce Caterpillar to the yachting market. After five years, I joined MTU, DaimlerChrysler Off-Highway supplying marine engines – mainly to government. Here, again, I had the opportunity to break new ground, taking the company into commercial engine supply. One of my achievements was putting the company’s MTU engines on the the commercial market. Next, I was offered the job of Thailand Country Manager for Emerson, manufacturers of industrial products – a big change of product focus but an exciting challenge. MGC is a major player in the luxury car business. What made them move into yachting? MGC was founded in 2000 and sells luxury cars such as BMW, Aston Martin, Maserati and Rolls-Royce. Our products are top-end and our customers, who are used to buying luxury items, and are therefore potential yacht buyers, are already confident of our ability to deliver high-end service. So there was a natural fit. Why did MGC choose Azimut Yachts instead of another brand? We were approached by many yacht builders, but it was obvious that we needed a top brand. Azimut has a long history, dating back to 1969, and a reputation built on delivering quality. Something else that suits our business model is that the founder still runs the business. Then there’s their innovation; they bring out a new model every year and, since joining forces with Benetti, they have a production capacity of 300 yachts per year. Do you think there’s still room for major growth in yachting in Thailand? Yes! Government and private sector are working together to create the opportunity for foreign yachts over 30 metres to operate in Thai waters; that will generate massive revenue from servicing and provisioning the yachts themselves, as well as the high spend of owners, crew and guests while they are ashore shopping, dining and generally enjoying the destination. Apart from the superyacht potential, there’s the natural appeal of Thailand’s cruising grounds. There’s still opportunity for significant growth in terms of yacht sales to wealthy residents (Thai and expat) and charter yachts catering to yachting visitors. Do you expect to see the number of Thai yacht owners grow? Yes. 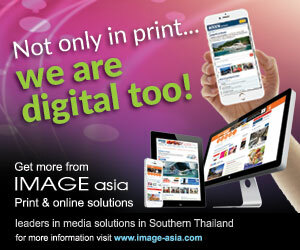 The potential of the Thai market is mostly unexplored. It’s all about the luxury lifestyle. When wealthy individuals realise that the cost of keeping a yacht is not much more than keeping their supercar, yacht ownership becomes attractive to them – especially when they can buy an established top brand from a company, like MGC, who they know and trust to take care of them and their purchase. We had a recent example where a 30-year-old successful Thai executive just bought a new Azimut from us; in fact we have already sold five yachts in our first year of operation. The most popular model is the 43-foot, which for the Thai market is the entry-level. What about marina capacity? Will that limit growth? Actually government is supportive of marina building and we have seen new marinas built in Krabi and another marina projected on Phuket’s east coast, while Pattaya’s Ocean Marina still has plenty of room to expand. With its high level focus on quality tourism, the government recognises that yachting brings in a much higher spend per person – approximately four times – than ‘traditional’ tourists. Furthermore, financial support has been made available by the government to develop the Thailand Yacht Show, aimed at attracting superyachts to Thailand, at Phuket’s Ao Po Marina. Do boat shows play an important role in marketing luxury yachts? Yes, boat shows have an important role to play, but we think the organisers need to put more effort into attracting Thai buyers. They do a good job bringing visitors, including potential expat buyers, from overseas who can then see for themselves our marine support infrastructure in Phuket. For the Thai market, MGC relies mostly on its own luxury lifestyle customer base. 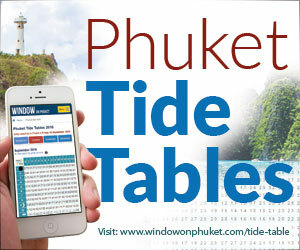 Which of the two Phuket boat shows do you think offers the best potential to sell boats? 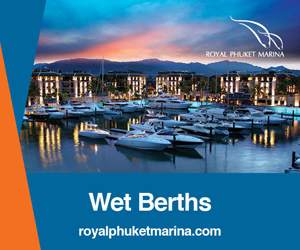 Because the government has heavily promoted the Thailand Yacht Show (TYS) at Ao Po Marina, the Thai market knows about this show more than the long-running PIMEX [now the Phuket Rendezvous]. So in terms of attracting Thai buyers, TYS is in the lead. PIMEX tends to attract people who are already into yachting. If you had to compare Azimut Yachts to a luxury car brand, which brand would that be? You have to understand why we chose Azimut. A key selling point is the breadth of their range: they start with 34-footers, move through the flybridge and long-distance ranges with bigger yachts, and then up to 80+ foot at the top end. If you compare this to the luxury car brands, you could say they start at BMW, move on through Aston Martin and end up at Rolls-Royce. So to answer your question, Azimut covers the whole spectrum. What about yacht management & after sales service? Our MGC showrooms and service centres have an excellent reputation. We just launched our new marine service facility at Ocean Marina and we have a service team that carries out warranty claims and does all servicing in Pattaya and in Phuket. Then we have an advisor who liaises between owners and Azimut head office and there is a quality assurance system in place for reporting back to Azimut. We also offer a complete yacht management service for our owners, including the provision of captain and crew as well as management of the yacht in the marina. Finally, we provide our own finance scheme too – very hard to find in Thailand – and already have owners who have bought Azimut using this scheme. Combined with an insurance option that we offer, we cover everything a yacht owner needs. If I order a new Azimut yacht, how long will I have to wait for delivery? It depends on the model. 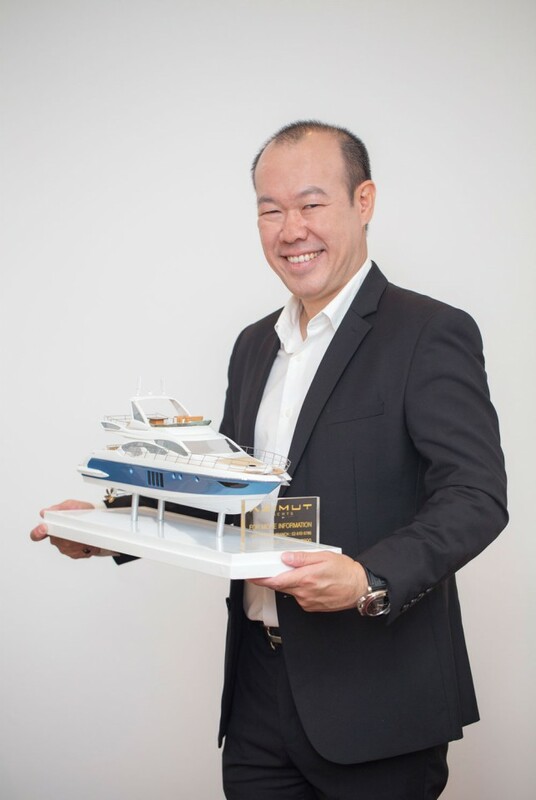 For one of the newly launched models, you would need to join a queue, but for established models (except the Grande Collection), there is stock held in Italy and your new yacht can be here in Phuket within three months. Will you help me sell my existing yacht, or even take it as a part exchange against the new model? Yes, we will support your new purchase by taking your current Azimut yacht into our used boat sales portfolio.